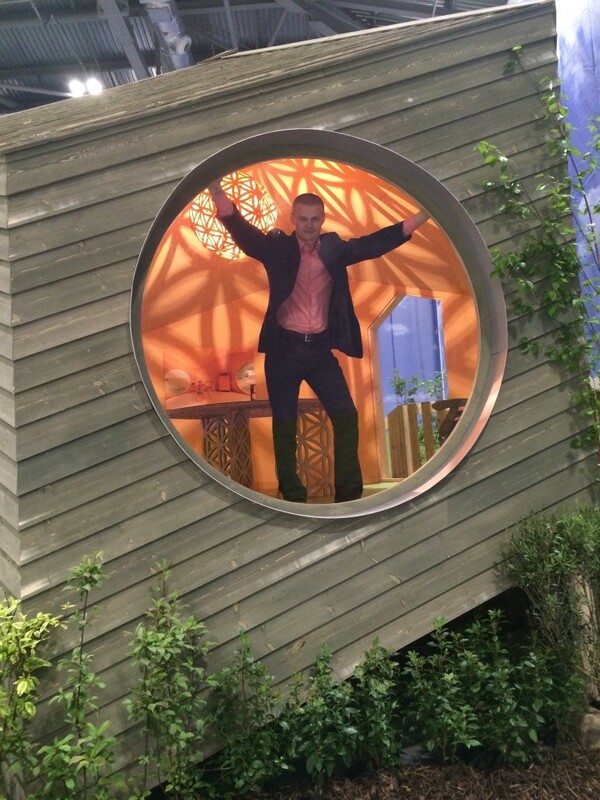 Estonian architect-inventor Jaanus Orgusaar’s garden house, the Noa, was one of the highlights at the UK top home show, Grand Designs Live, held at the London ExCel Centre from 3-11 May 2014. The show had over 500 exhibitors and was attended by 111,000 visitors last year. EstonianWorld had a chat with the CEO of online architecture shop katus.eu, Tiit Sild, who was promoting the Noa project at the ExCel Centre. 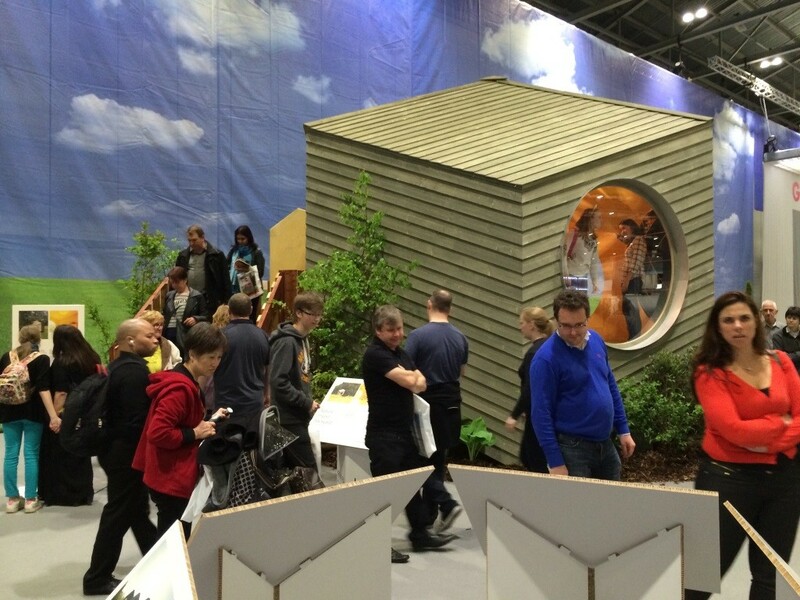 What is Noa and how did it end up at the Grand Designs Live? 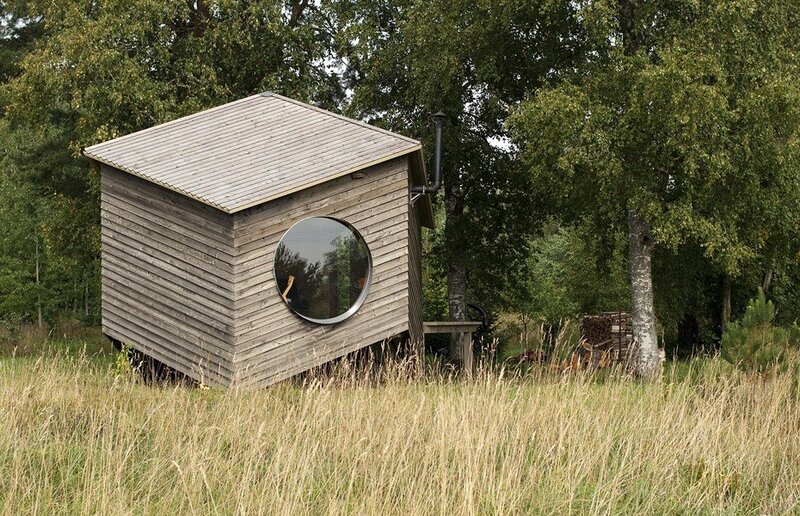 Noa is a 25 square-metre six-sided garden house standing on three feet. It is an easily adaptable sustainable living space, which is perfectly suited to a variety of landscapes and environments. Its angular shape allows adding extra modules to extend the living space. 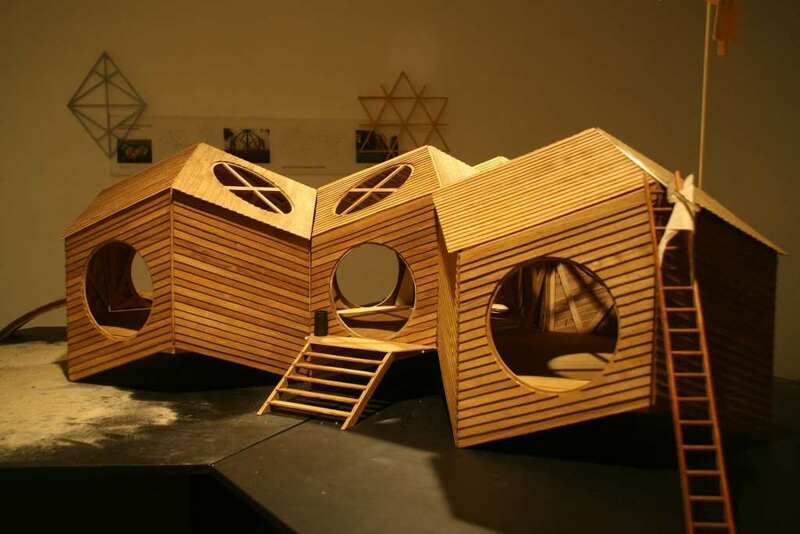 The designer based the wooden cabin on the shape of a rhombic dodecahedron – a convex polyhedron with twelve identical rhombic faces. Round fish-eye like windows give a great view to the outdoors. The inside walls are plastered and painted warm yellow. 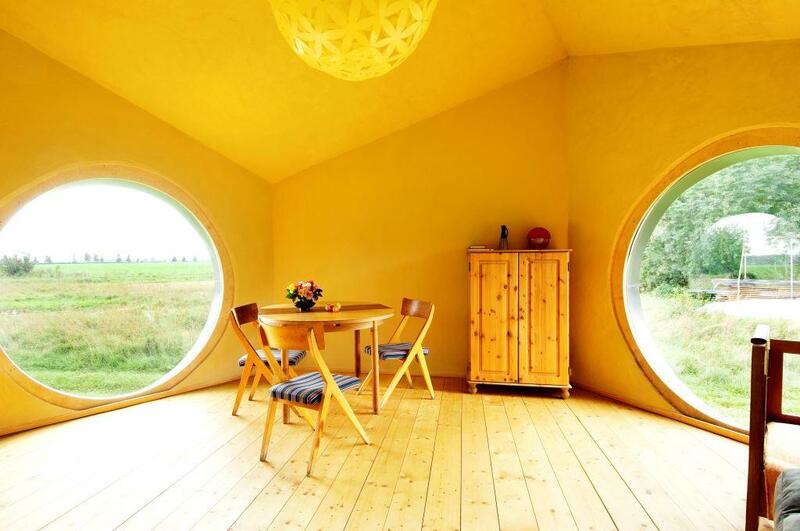 Jaanus Orgusaar built the extravagant geometrical summerhouse for his family in 2010, and it became a real international internet craze at the beginning of this year. The project was picked up and introduced by tens of popular architecture and eco-design websites. Tiit Sild explains that it was probably on one of those websites where the Noa caught the eye of the Grand Designs show TV presenter and design guru Kevin McCleod, who personally invited the Estonians to participate at the exhibition. The Noa is built as one of the five sample houses at the Grand Village section of the property show. Showing in the Grand Village section is by invitation only and all the participants reflect the ethos of the Grand Designs: unique architecture, innovation and environmental awareness. The Estonians were the only team invited from abroad. What followed the short notice invitation was five weeks of stressful logistics to transport the bulky prefabricated house modules to London and arrange a team of Estonian builders to erect it just in three days. The house was then furnished with items also designed by Jaanus Orgusaar to make a visitor’s experience complete. A sturdy plywood shelf, table with lace like cut outs, and a shadow casting round lampshade make the interior inviting and cosy. The house and furnishings will be sold at the end of the exhibition. Due to the differences in climate, Noa could actually be used year-round in the UK with proper insulation. 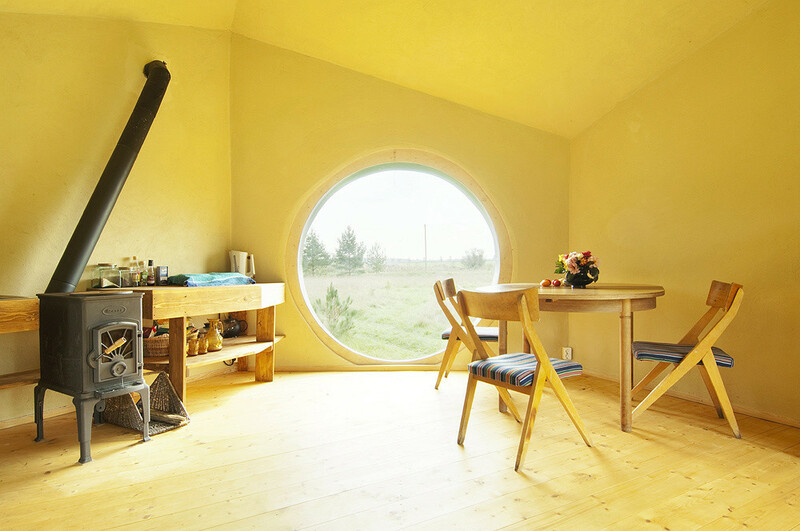 The huge international interest in the project and the positive feedback they have received took Estonians by surprise, as the house didn’t get much publicity in Estonia after the prototype was built in 2010. Sild reckons that the reason for modest attention might be the fact that Estonia has a really long history with timber houses – they are very common and people are used to seeing them around. “For urbanised people abroad our tradition really is something very special, the concepts of sustainable materials and eco buildings combined with modern design are great selling arguments,” Sild says, praising the high production quality of Estonian timber manufacturers. Orgusaar isn’t keeping the idea to himself and has joined the online architecture outlet www.katus.eu. Katus is a project bank, offering modern prefabricated houses by top Estonian architects. At the moment it has about 40 different designs to offer by 10 timber manufacturers, and 12 of the projects were also exhibited on posters next to the Noa at Excel Centre. The shop has only been open for a year and thus far they have concentrated mainly on the Scandinavian market. Sild explained that the idea of the enterprise is based on the common dilemma of a person building a house – they can choose between an expensive custom-made project built from scratch or a more affordable conservative-looking prefabricated house by an unknown architect. “This was a question we tried to solve – why can’t our best architects design progressive and contemporary houses that apply the principles of low cost and fast assembly without forgoing good design?” Sild contemplates about their quest to make modern architecture more accessible. The architecture shop Katus is now organising an architecture competition to expand its selection of projects, and is working together with a real estate developer in Norway who will get the best designs built. The CEO of Katus appreciates the opportunity to introduce Estonian architecture in the UK at the Grand Designs exhibition. “We also hope to find contacts with local builders in the UK: so far we have had our Estonian team coming over to erect the houses, but we do need someone on the site preparing the foundations for buildings and dealing with local planning permissions.” Sild therefore calls out to Estonian builders in the UK to contact him. What is “good design” in modern architecture? “In my opinion a good design isn’t only a matter of personal taste. I do believe in modern architecture, it has to be innovative and progressive; a house has to have ambition. Many new houses are modern only inside: using air conditioning, heat exchangers and solar panels. There is no need for them to look overly conservative. I’m not saying that a modern house needs to have a crazy design – it doesn’t need to be a funk-style building with a flat roof to be cool. Change in attitudes and habits comes in small steps, it is important to offer people choice,” Sild explains. Cover photo: “Noa” house in the garden of its designer, Jaanus Orgusaar. Photo by Terje Ugandi. Triin Kübar is a freelance journalist, based in London.